Walked out back this morning, and look what I discovered. I guess that storm the other day loosened it up. 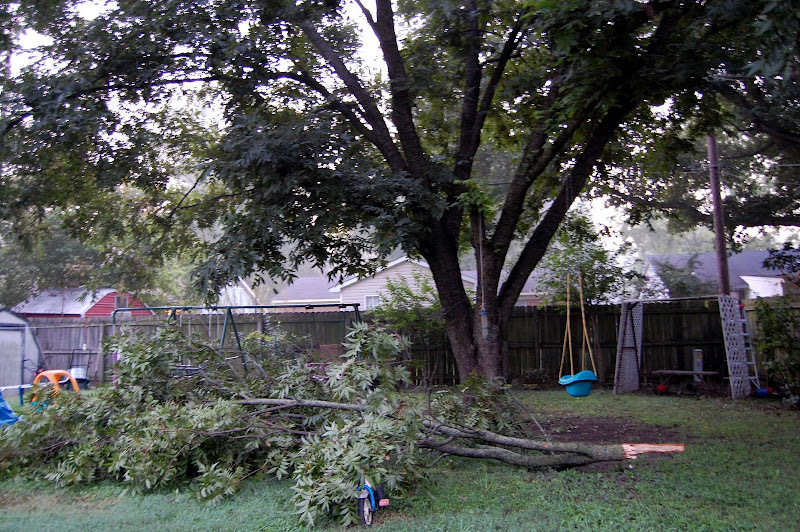 I'm just glad it fell in the middle of the night and not when the kids were out back playing.